Over 40 years old, fine lines and wrinkles can appear especially on the eye and mouth contour when the skin starts to be dehydrated. Brown spots or fine vessels can appear. Some blood vessels can become visible. The dermis starts to deteriorate. The capacity of the skin to maintain hydration reduces. - LycoPhence GS Forte: tomato extract, grape seed extract, vitamin C and zinc. - contribute to the normal collagen formation (vitamin C). 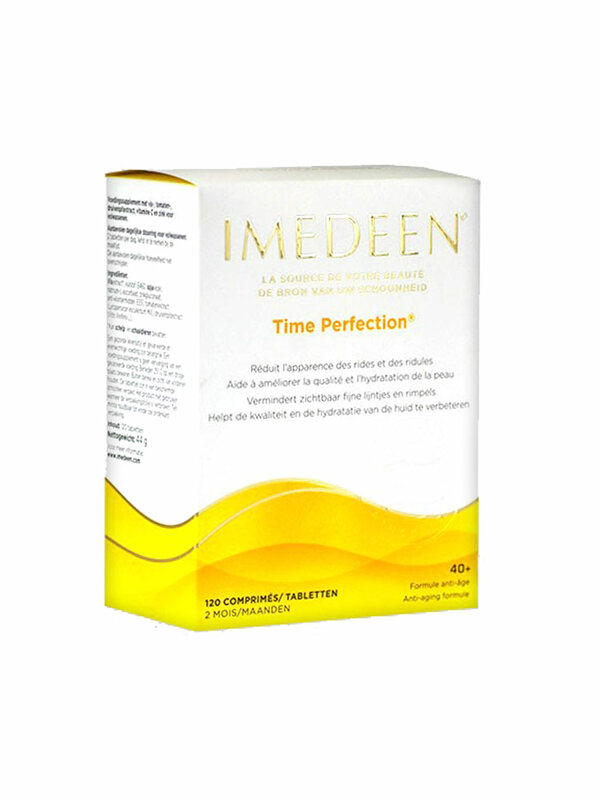 Imedeen acts from inside to reduce the appearance of fine lines and wrinkles and to help improve the quality and hydration of the skin for women over 40 years old. 2 tablets per day to take during the meal. To take during 12 weeks at least. Indication: Beauty of the skin. Women over 40 years old. Extrait de Poisson (Complexe Marin), Agent de Charge (Cellulose Microcristalline), Fibres de Soja, Vitamine (Vitamine C), Minéral (Zinc (Gluconate Zinc)), Extrait de Tomate (Lycopersicon Esculentum Mill), Extrait de Pépins de Raisin (Vitis Vinifera L). 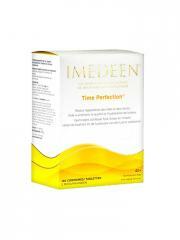 I recommend this product for any woman over 40 who wants to age naturally and gracefully. Visible results. Skin looks softer. Just started to use, hope it will bring good results for my skin. I don?t see difference. Just keep using it thinking it cpuld be worse if I don?t take anything.